When change occurs, whether it’s getting promoted, managing a recent merger or dealing with a turbulent economy, it’s up to a manager to support and guide employees through the transition process. The ability to lead and manage through challenging times is critical to a firm’s long-term success. This presentation takes a look at how change affects employees and what steps managers can take to help staff adjust and thrive amidst change. Tonya Syvitski, RPR, RPT, CMP is a designated professional in recruitment, training and management through the institute of professional management. She has 12 years of experience in the field of talent management both from a corporate and external search perspective. She is also a facilitator, trainer and public speaker. 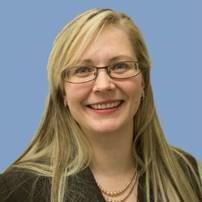 Her speaking and facilitation experience includes the Alberta Conference Board, CPA, ERIEC, ECVO and others. She is a guest writer for the Canadian Diversity Magazine, has been on the Board of Director’s Executive Committee for the EMCN, is a founding member of the EBDN, and has been a partner of ERIEC almost since its inception. In these capacities she has been heavily involved in governance, policy development and improvement.